I had never heard of Mr. Diaz but the trailer shows his work has a strong and interesting atmosphere. Stephen, do try to see his films. I’d say he is one of the 4 or 5 most important directors of the last decade. I will, especially when they come with such a recommendation. Again, JAFB you leave me speechless and prove yet again why you are one of the finest writers in the blogosphere, and one whose thirst for the visionary stuff that escapes the radar of most, often uncovers revelations like this. I have not seen a single film by Mr. Diaz, but I am nonetheless stunned and fascinated by what I read here. And as you note in the lead-in, his work has won awards in major festivals, and it’s much like the work of Bela Tarr in length and scope. Originally, when I embarked on reading this magisterial chaptered essay, I was thinking you had uncovered a humanist, which of course would delight me, but I see the thrust here with this multi-talented Renaissance man is politics, and a strong ambition to “alter the perception about his country” and to come clean on his particular idealogy. Of course I fully expected that Diaz would despise Marcos (most Phillipinos are in accord) and he would rightly pin much of the country’s subsequent socioeconomic structure to have been damaged by that perpetrator of corruption, oppression and human rights violations, whatever claims were made on behalf of international diplomacy. Interesting that his work straddles the line ‘between contemporary contemplative cinema and the conventional documentary’ too. “Evolution of a Filipino Family” which concerns ‘resistance’ does really sound like essential stuff, and I will immediately seek it out. But “Melancholia” is equally intriguing for a number of reasons. This is truthfully a Hall of Fame post in the movie blogosphere. Amazing. Sam, you’re being too generous. Thank you. Your right about Diaz’s hostile attitude towards Marcos. But he doesn’t spare the ruling Arroyo government either. And the two films you mention there are probably his two best works to date. JAFB: If I might ask, would you know what DVD outlet you used to acquire some of Diaz’a films, and if they are subtitled in English? Thanks. Very interesting write up I must say.I recently watched his short film “Butterflies have no memories” at the Jeonju film festival and was speechless after the viewing.Though I had heard about him because of him winning awards at Venice in the Orrizonti section but hadn’t seen his films earlier. It’s interesting that a country like Philippines in the last few years has been producing award winning cinema and is clearly placing itself alongside the likes of Iranian Cinema. I was also fortunate enough to talk to a few film makers from Philippines at Jeonju. Lav Diaz talked about his organic process of filming and how he works with a minimum crew to achieve such results in a limited budget. The most interesting part was that all these film makers felt that their film making reflects the economic condition of the country which is why they prefer digital. They have never hesitated to shoot even on a mini dv to tell their story.All of them work with a crew that plays multiple roles from being camera assistants to actors.A lesson which Indian film makers should learn. You make some fine points there. And one can see this sort of resourcefulness in all of Diaz’s films. The most important point that you make is about Philippines itself. The cinema of Diaz and co. still seems to be a minority among the populist films of the country. Surely, our filmmakers are better off in terms of resources, but our alternative films are nowhere to be seen. Do you have Mr Diaz contact info? I would like to screen his work in a festival in south america. Hi Muguel. I don’t have Mr. Diaz’s contact number. But you could try asking the same here :http://www.facebook.com/group.php?gid=42741237120#!/group.php?gid=42741237120&v=wall. People like Khavn and Kristine Kintana, who have worked with Diaz in his films, are members here. You sure must be able to get his contact details there. I’ve got Lav’s e-mail i.d. See if it helps. Just send me a reminder on my mail greatgabbar@gmail.com. 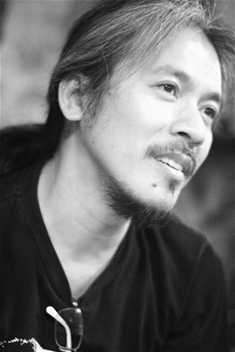 Also, Lav Diaz is on the jury in the orrizonti competition at Venice film festival this year. A good news for his fans!! Thanks for the info, Pushpendra, Hope Miguel contacts you. Also, I managed to see Butterflies Have No Memories very recently. A superb film. Hope he expands it to a full length (?) feature. You can contact Lav through lavrente@yahoo.com. Awesome write-up JAFB. It certainly peaked my interest. But may I ask will the impact of “Death in the Land of Encantos” be diminished if I already know the ending? Since sadly I do. Thanks Alex! Not at all, in fact, there is nothing called spoilers for Diaz’s films. In DITLOE, you’ll probably guess what happens halfway through the film. So just go ahead! Thank you! Actually I just know the ending shot and the ending line, and from what I’ve heard this film mixes documentary, fiction and dreams and jumps through different times and continents so it might not really be a spoiler! With the exception of Batang West Side which is absolutely unavailable at this moment, it looks the most interesting film of the bunch to me. Yes, I think you’re right. I’d say DITLOE is the most “dynamic” of Diaz’s big works (alongside Ebolusion). wow these films sound great but I never heard of them before. After some searching I found a copy of Melancholia on web but it comes with Italian hardsubs. May I ask whether you have watched the same version or not? It also has optional English subs but hardcoded Italian subs seem annoying especially in 7 hours. If you say it will be OK, I’ll watch it! Yes, Matt. It is the same version. But you should be able to tweak your media player to display the subtitles at the top or at a place where it doesn’t overlap with the hardcoded Italian subs. Great! I grabbed it but the video is from the version with 2 CDs but its English Subs are from the version with 3 CDs. I had experienced worse though! I just wanted to ask whether do you know how can I find English subtitles for the version I have? Thanks again. Real bad luck mate. Even I have the 3CD version! Yuck! Apparently I should go through the trouble of synching subs manually. Sorry for saying this but don’t you think you gave away a little too much on Heremias? I haven’t seen it so I hope I’m wrong but judging from your write-up I think you described 8 or so hours of 9 hours and that’s probably a little too much! Heremias is a solid example of contemplative cinema – the how counts much more than what. So things such as spoilers hardly apply to it. Nothing would change if someone gives you away the story of Satantango, right? So you can rest assured that, practically, I’ve given away nothing of the film. Hey, this is great! 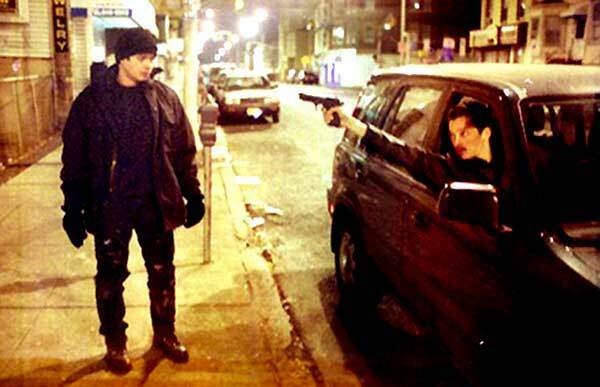 I’m a huge fan of Diaz too even though I’ve only seen two of his long films. Encantos is probably my favorite film of the noughties and Melancholia is not far off. And yes, it has a really great and creepy ending. What was the point of the paper eating sequence btw? It was one hell of a scene anyway! 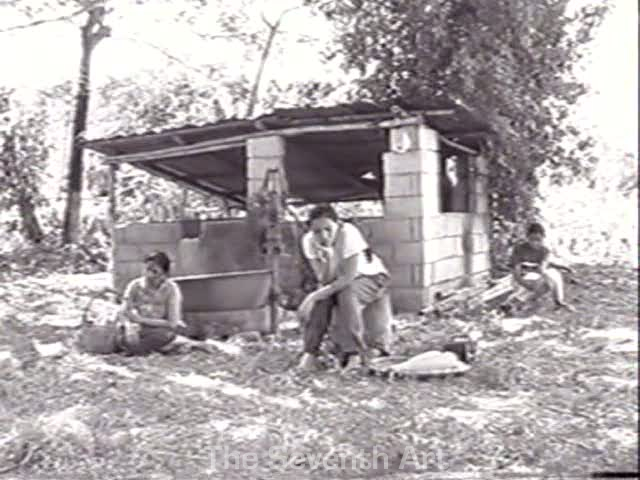 Have you seen any other Fillipino films any way? Brocka, Bernal, Mario O’Hara, etc, etc? Great stuffs for sure. 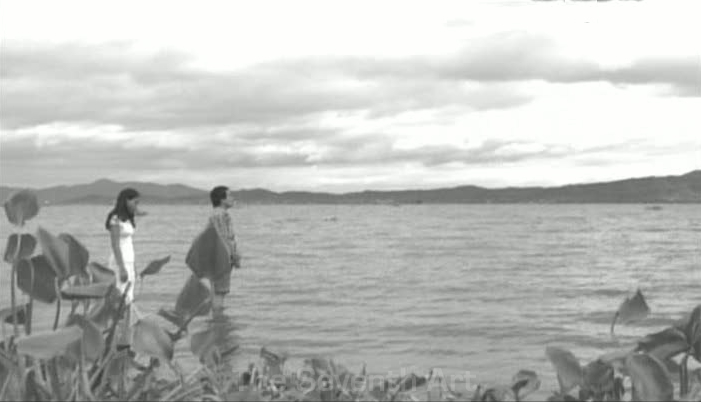 Apart from those of LD, the only Filipino films I’ve seen are those of Raya Martin. I really admire them. Would love to see Bernal, de Leon, Khavn, Brocka and O’Hara some day. Especially Brocka. Just a head-up: Brocka’s most acclaimed film “The Nail of Brightness” is probably his worst. I even go as far as calling it one of the worst movies I’ve ever seen. Totally melodramatic swimming-in-misery type. Sure, it was an important film because it was made in Marcos era and it’s daring and such but I didn’t find anything of high cinematic quality at there. Luckily his other films are far far better. Thanks for the tip, Sy. I’ll probably see TNOB after I’ve seen a few Brockas. Finally saw Melancholia. I loved loved loved the first part. 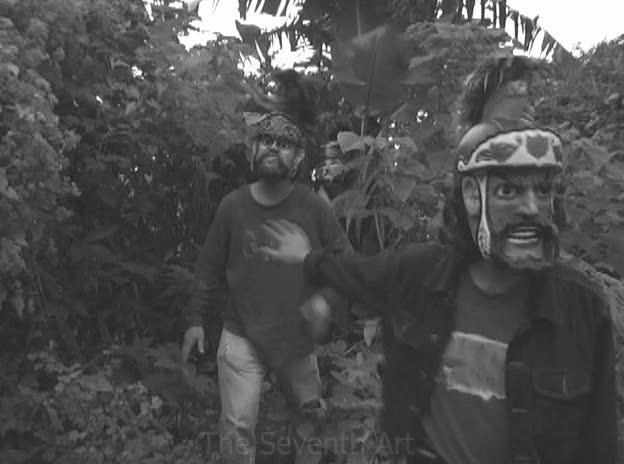 The first three hours made me super-excited for watching more from Lav Diaz but I thought what followed was heavy handed. I didn’t like Patricia’s songs. When that writer was talking with Julian I was very annoyed that Diaz put his words right in the mouths of a character in that way. And near the ending the monologue of “life is a prolonged tale of sadness” was really extra. The ending was fantastic. So overall I liked it but not as much as I expected. If the first three hours formed a standalone film it would have been great. Thanks for the comment, Matt. Even Diaz wouldn’t object that you lked his film in parts. I think it’s a very valid response. I wouldn’t rate Melancholia as my favorite Diaz myself. You should check out Evolution. Hopefully, you’ll catch them soon, Sachin…. Thanks and a very happy new year to you! A Very happy new year to you as well :) May you watch more fascinating films in 2011. Were you able to finally get a copy? I can furnish you copies if you wish. After seeing Lav work in Encantos, he inspired me to make films. And I know that he will continue to inspire me. 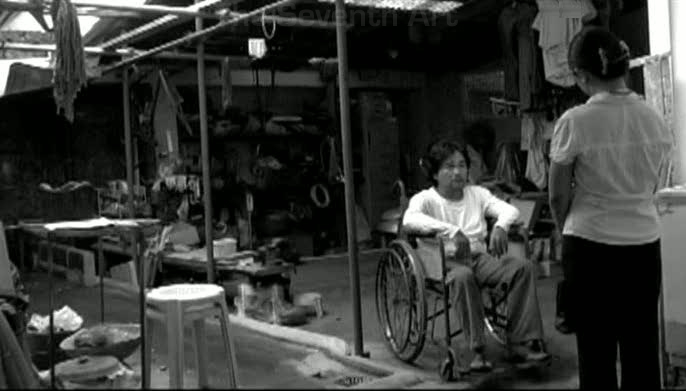 Being a huge fan of your blog, I started watching Lav Diaz. I have just completed Death in the Land of Encantos and I plan on watching Batang West Side ( i got it on smz) next. This is a masterpiece. I have lesser than elementary knowledge on Filipino history and culture and this movie has in the least enticed me to look upon Filipino culture so that I am better prepared for his other movies and also subsequent viewings of Encantos. This film at first struck me as encompassing many beautiful film notions. In addition to the herzogian notion of including the making-of it also does a bit of a Kiarostami by including the shooting of a scene from Heremias. Also as you have nicely pointed out in relation to Tarkovsky, it seems to transcend the temporal time by bringing Hamin’s demons from the past into the present ( It seemed uncertain in the end if he was really being pursued at that point in time or was just paranoid and this ambiguity is deliberately essential to assert the significance of the past). Also as you have mentioned in the intro, it seems to capture many ideas of Contemporary contemplative cinema. Although it is different in some aspects. I have seen that in a lot of films that are considered CCC , the emphasis is on quotidian activities or activities that were formerly considered insignificant. However Diaz also sets up long ponderous shots of Hamin in a state of frenzy and also the mad woman waiting for her black prince. Montage seems to be ignored at many points reiterating his emphasis on real-time which immediately brings to mind the long “walking shots” of Tarr. Also tracking shots seem to be unnecessary for most of the runtime, and whenever it is used the hand held camera produces shaky effects which seem to be reinforcing a certain signature underlying aesthetic. Finally the canvas and landscape are treated with sheer respect. The composition of his static shots is mind blowing. It very strongly captures the destruction of the typhoon but at the same time so many shots encapsulate the lugubrious beauty of the debris. I could not find much on Diaz’s influences. Given the long passages devoted to Russian culture, I was wondering if Diaz himself is influenced by the lot of Tolstoy, Dostoevsky , Pushkin , Tarkovsy etc. Has he mentioned them or their influence on him in interviews? I heard him disagree with Eisenstein’s Soviet Montage theory in some interview, but I couldnt find much on his idea of Russian literature or Tarkovsky for that matter. Perhaps it will become increasingly evident in his other movies. Thanks a ton for all those fine points, Richie. I. myself. am one hour into BATANG WEST SIDE and the Tarkovsky influence is even more apparent. And I think you, like me, would be glad to find that BATANG WEST SIDE both puts ENCANTOS into a better perspective and brings out the most personal aspects of these two works to the fore. Of course, there are three more hours to go, but I’m very impressed – barring the shaky choices here and there – by what I’ve seen so far. Hey, in that case i am just some hours behind you :) I too am 2 hrs into the film, and within the first 5 minutes the scene where he dreams of her mother directly brought Nostalghia and Mirror into my mind. And there are several more instances of alternations between dream experiences and reality. However so far it seems quite different from ENCANTOS , although the filipino perspective is been given a lot of emphasis. Is there a Evolution of a Filipino Family DVD or VHS anywhere on the web that I can purchase? I would like to see the movie, but I haven’t had any luck finding it anywhere. Hello, you may email sineoliviapilipinas@gmail.com for copies. Just state your purpose of purchase. Thanks! where can i watch his films in the internet? It is not available on the net, I’m sorry. But you can purchase via sineoliviapilipinas@gmail.com..